Before talks with North Korea can progress, the U.S. must officially declare the Korean War over, the New York Times' David Sanger and William Broad report. The big picture: While President Trump has maintained that his meeting with North Korean leader Kim Jong-un was a success, according to the Times, the regime is refusing to provide documents of its nuclear weapons, stockpiles, and production sites. The bottom line: This standoff could ultimately stall how the two countries move forward, if at all. 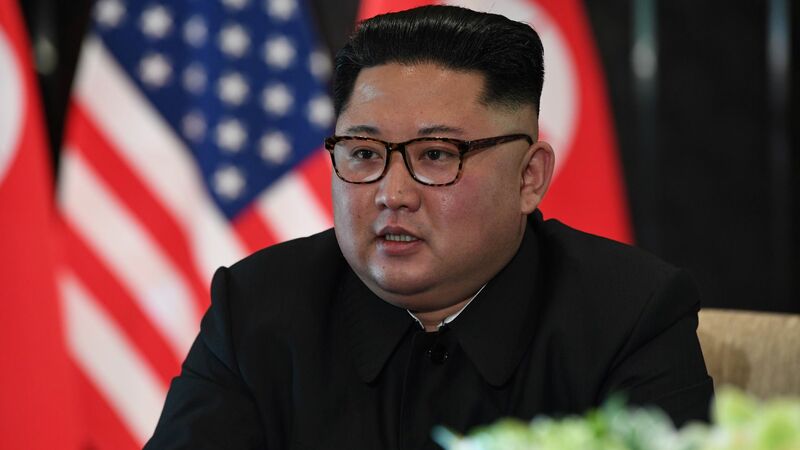 North Korea is hesitant to provide a declaration of its total nuclear capabilities with the fear it could give the U.S. "information to target any pre-emptive strikes in the future." The regime's state-run newspaper, Rodon Sinmun, said the U.S.' proclamation is "the demand of our time," per the Times. The concern with declaring the Korean war over — as it was "halted with a 1953 armistice but never officially brought to a close" — is that it would look as though Trump was "outmaneuvered" by Kim, the NYT reports. For many experts, the inability to progress with talks isn't all that surprising. Joseph Nye, who wrote the first assessment of North Korea's weapons program for the National Intelligence Council in 1993, told the Times: "The North Koreans have lied to us consistently for nearly 30 years. ... Trump is in a long tradition of American presidents who have been taken to the cleaners."